Population health management is more than just an industry buzzword: It’s an increasingly effective way to manage the outcomes of a broad group of patients in a way that’s both effective and cost-efficient — no small accomplishment in an era where the risk of chronic disease is still trending upwards with “no sign of abating,” per a brief from the National Conference of State Legislatures. High on the list of harmful chronic illnesses is diabetes. With a total economic cost of $327 in the United States — people with diabetes experience healthcare costs that 2.3 times higher than those without, according to the American Diabetes Association (ADA) — diabetes is among the country’s most costly conditions, and has long cried out for more effective long-term solutions. Population health management, with its emphasis not just on day-to-day condition treatment but also on inspiring lifelong behavior change that drives real results, is meeting the challenge. 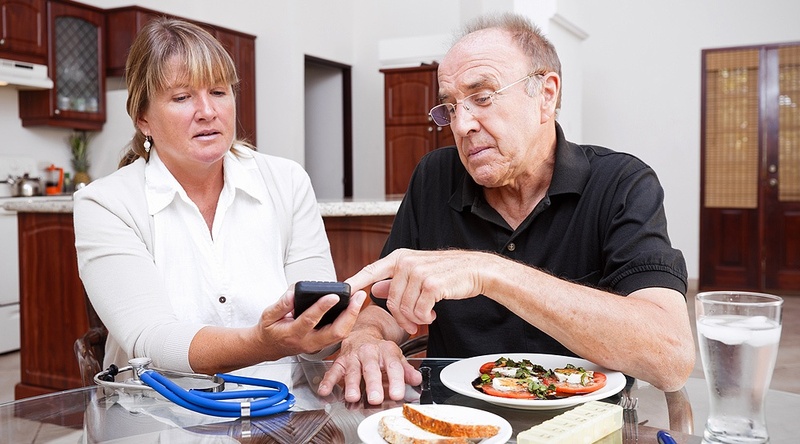 And remote patient management (RPM) is proving itself a powerful way to implement population health management for diabetes. Population health management isn’t exactly a new concept. Coined decades ago, the term is already entrenched within the industry, including a number of academic journals dedicated to examining the idea to its fullest. Yet in recent years, innovators have harnessed capabilities in data-gathering, analytical advancements, and consumer tech to take the possibilities of population care to all-new levels. “As population care for diabetes continues to evolve, future initiatives should consider ways to tailor population care to meet individual patient needs, while leveraging improvements in clinical information systems and care integration to optimally manage and prevent diabetes in the future,” write the authors of a 2017 study on population health management for diabetes. Daunting though these goals may seem, they’re being increasingly realized by the expert application of telehealth technology. Indeed, offerings like the Care Innovations® Health Harmony RPM platform utilize not just advanced technological expertise for patient access and program customization, but also integrate behavioral change principles to help truly engage and motivate patients. “Remote patient management models can help people to learn how to self support, self manage, or engage with healthy behaviors and track those healthy behaviors perhaps even outside of the traditional clinical model," as Care Innovations Chief Clinical Officer Julie Cherry (RN, MSN) explains in a video from the RPM Academy. Indeed, so successful has the Mississippi Diabetes Telehealth Network shown itself to be in population health management for diabetes that UMMC quickly expanded the program to include other chronic conditions like congestive heart failure (CFD), chronic obstructive pulmonary disease (COPD), asthma, and hypertension. “After seeing the success derived through our diabetes program with Care Innovations and the improvement in quality of life it provided for those enrolled, we are ready to extend the benefits to other chronically ill populations and healthcare organizations who share our vision of a healthcare system that extends into the home,” stated Kevin Cook, CEO of UMMC’s University Hospitals and Health System, in a news release announcing the program’s expansion. This goal of leveraging technology to enable better solutions for diabetes population health management firmly in line with the Care Innovations mission, our rate of success is enabling the expansion of these important services to many more diabetic patients. As a case in point, multinational healthcare provider Roche recently entered into a strategic partnership to integrate its European-based mySugr diabetes management app with our RPM technology. In so doing, the company also announced that it was expanding the service into new markets in North America. Read more about Care Innovations’ PaaS offerings here. If you’d like to learn more about how to leverage RPM for diabetes population health management within your facility or organization, we’re standing by to answer your questions: Contact Care Innovations today to schedule a complimentary, one-on-one consultation with a remote care expert.